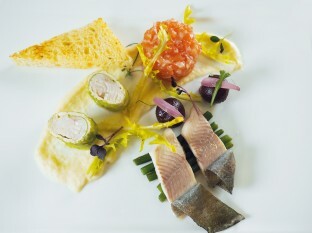 It is said, “you eat with your eyes as well” – this does not only apply for the food, but for any kind of enjoyment! Also for the ambience of a room. This idea we kept in our mind while we designed our rooms, or rather: created your rooms. Our 49 double and single rooms do not just offer a pleasing, nice ambience, but also any comfort and a complete sense of well-being! Generously-sized non-smoker rooms with balcony (terrace), park- sided, comfortable appointed with desk and sitting area, television, telephone, safe, minibar. With new walk-in showever and separate toilette. (Dogs are not allowed). 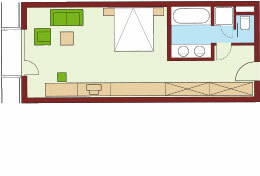 Generously-sized, bright non-smoker rooms with large desk, sitting area, with wide living- and sleeping area, small (french) balcony, air condition, desk, sitting area, television, telephone, minibar, pants press, bathtube and shower, separate toilette, floor heating in the bathroom. 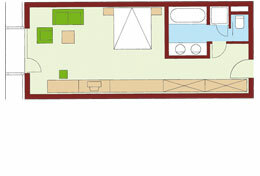 Generously-sized and quiete non-smoker rooms, some with room divider, comfortable equipped with desk and sitting area. 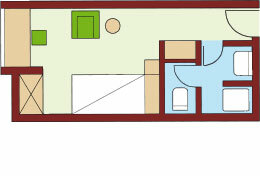 Some with park view, shower/ toilette, television, safe and minibar. 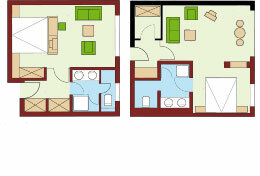 Large, bright non-smoking room with balcony, desk and sitting area. 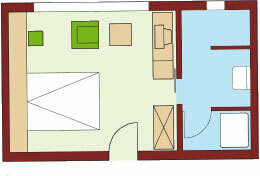 New bathroom with shower/ toilette, television, telephone, safe, minibar. In the guesthouse Rebenhof, vis-à-vis of our hotel (no elevator). Large and bright non-smoking rooms, equipped with large Queen Sized bed (1,40 m / 2 person possible) desk and sitting area, television, telephone, safe, minibar, shower / toilette. Large and bright non-smoking rooms with room divider (living- sleeping area), desk and sitting area, television, telephone, safe, minibar, shower/toilette. 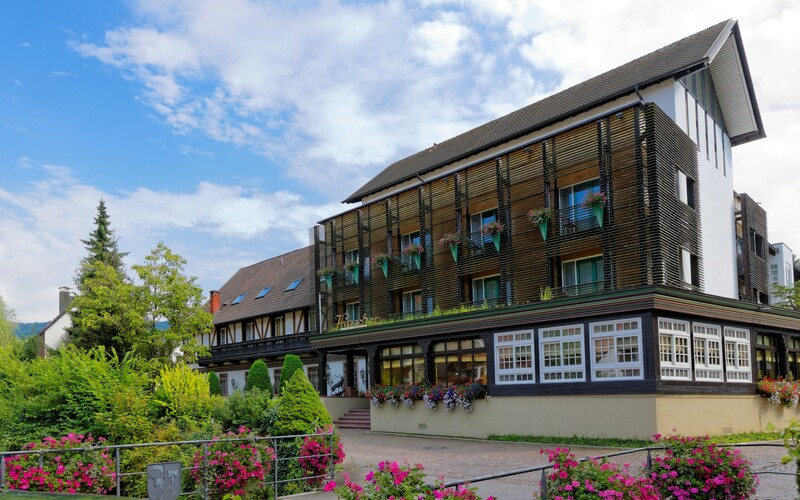 Pleasant and friendly non-smoking rooms with desk, television, telephone, safe minibar, shower/ toilette, some with balcony (in the main house, recently renovated). The prices are per person and night, (double rooms room occupancy with 2 person) including rich breakfast and free use of our leisure facilities as the panorama indoor swimming pool with countercurrent installation, steam bath, sauna and tennis court. You get the Konus- guest card for free use of public bus and train. 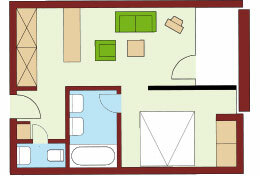 The room is available from 3:00 p.m. on the arrival date. At day of departure we kindly ask you to leave your room before 11:00 a.m.
All stated prices are quoted euro including the legal value added tax. From 4 overnight stays with breakfast (for direct booking in our hotel only) you get a consumption voucher fort he value of EUR 15,00. „A Heart for Children“: For 2 children up to 12 years the overnight stay and breakfast is free. For children aged 13 until 16 years we grant 50% reduction.